When you were little, did your mommy always sternly tell you not to “play with your food”? 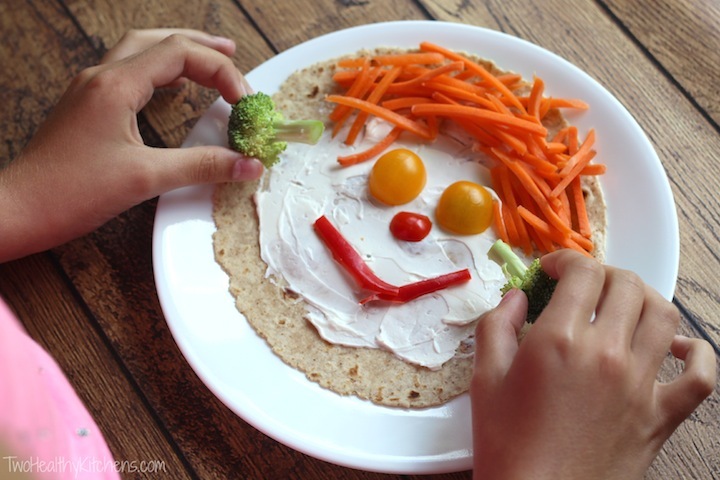 Getting gloriously messy-goopy-sloppy with food might not be gold-star manners at a schwanky restaurant or Aunt Mabel’s spiffy Sunday supper … but it’s one of the very, very best ways to get kiddos excited about trying new eating adventures (aka veggies)! We can vouch for this firsthand. Remember our posts about how to help picky little eaters grow up to be less, well … picky? 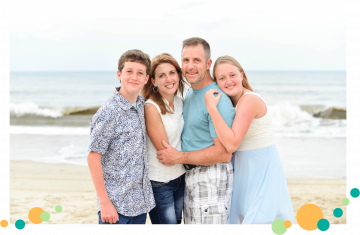 And remember in our second post in that series, about getting the kids involved, when we suggested ways to let your kiddos (even the littlest guys!) help in the kitchen? Uh-huh. Well, here’s a prime example of how to do just that! 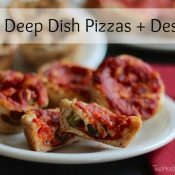 Make veggie pizzas (or wraps … depending on how you fold and slice ’em) designed as people or monsters or pirates or unicorns … or whatever! Kids think this is super fun! 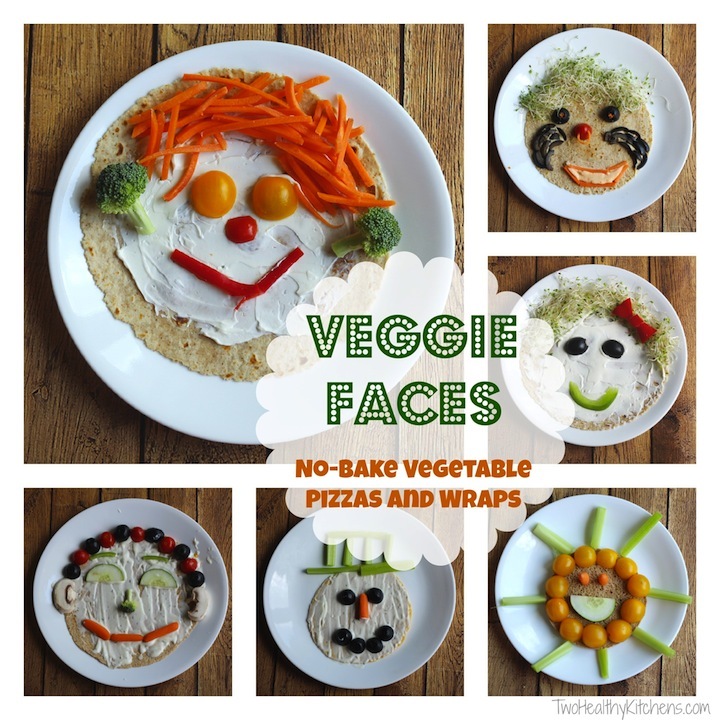 They love the freedom to make hilarious veggie faces in the most creative, ridiculous ways they can imagine! Lunch just met up with the best messy art project ever – what kid can resist that?!? 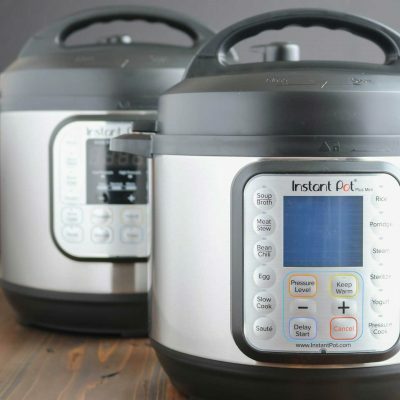 It’s the perfect way to introduce them to the shapes, textures and flavors of new vegetables in a totally non-stressful, no-pressure way. So here’s why we’re publishing this for you today. (Besides the fact that it’s mid-summer, and the kiddos might be getting a tad b-o-r-e-d, totally ready for some exciting, new project ideas!) Actually, this is the post we needed and couldn’t find. And since we couldn’t find it, we decided to write it ourselves! You see, back in the spring, we were invited to work with a wonderful group of little third-grade Girl Scouts, to help them earn their “Snacks” badge. We had a lot of learning, creating and snacking to jam into one quick after-school meeting. So we knew we’d need a couple handy visual aids to jump-start the girls’ creative thinking quickly … and convince them that a few sprigs of broccoli and some carrot shreds could be magically transformed into an awesome – and delicious! – snackable work of art! We figured it’d be no problem to find some great example photos. We’d just bookmark a couple of pics on the Internet, or find a few samples among the shelves (shelves!) of Shelley’s kids’ cookbooks. So obvious. Easy-peasy. But we were totally dismayed to find almost no good examples at all! Huh. Unexpected. 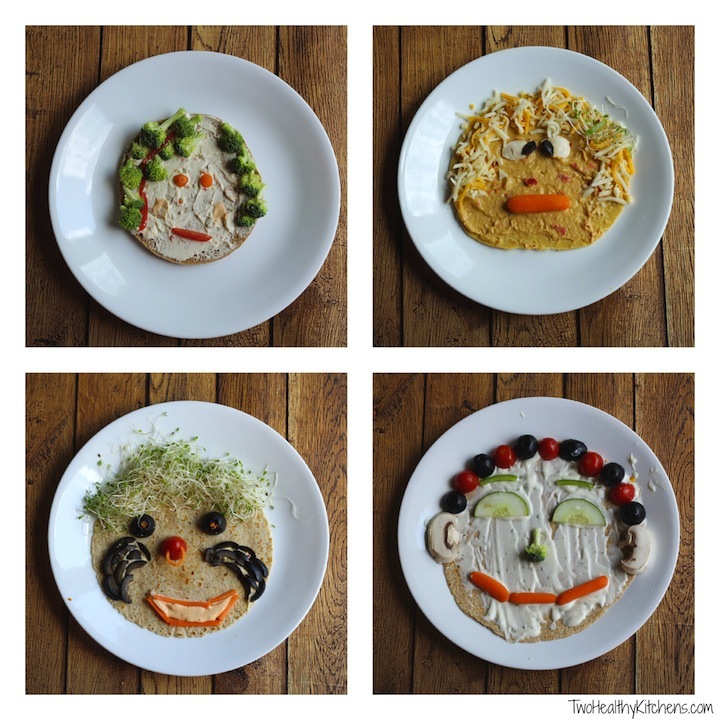 So, today we have all the inspiration you and your little foodie-Picassos need. These are the ideas that our own little artists created for us (and you!) 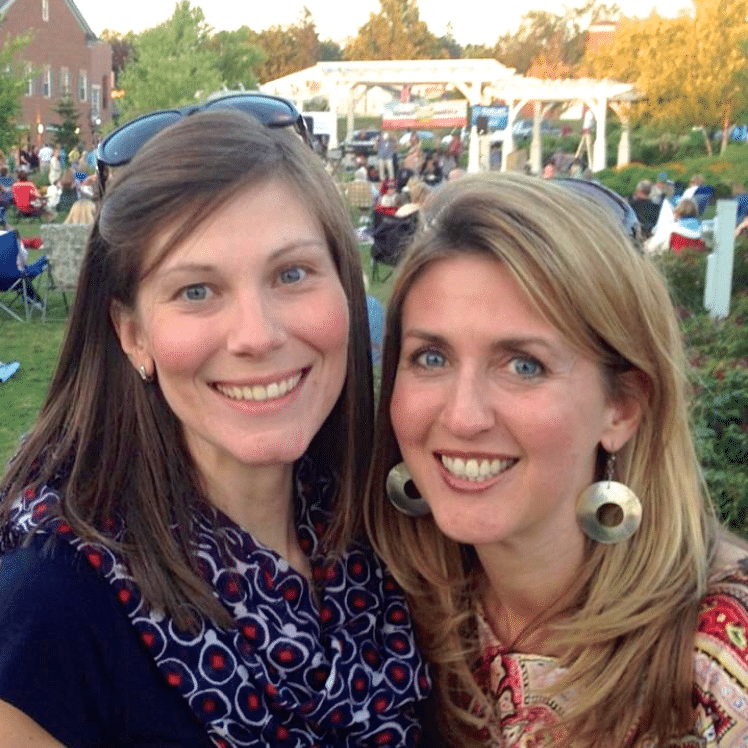 one super-fun day last week. We all had a blast together … and a great lunch! 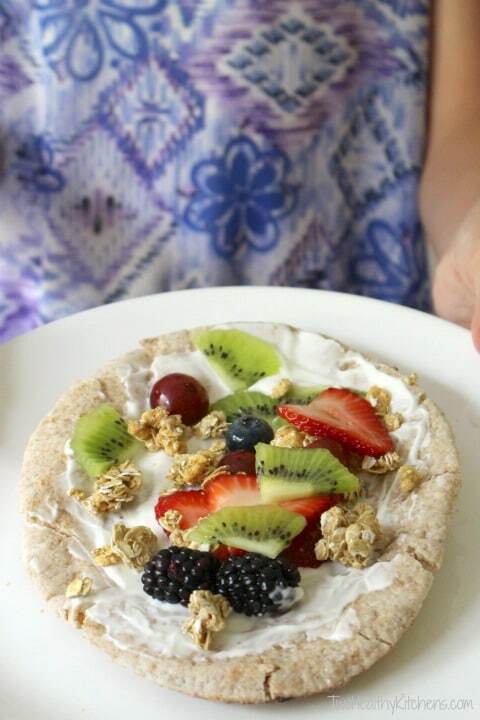 It’s the perfect project for a mommy-and-me afternoon, a playgroup gathering, or a (healthy!) preschool party snack. You can even package up some ingredients into a way-cool lunchbox kit so your little artist can enjoy the best “Lunchable” ever (while their school buds drool in envy). 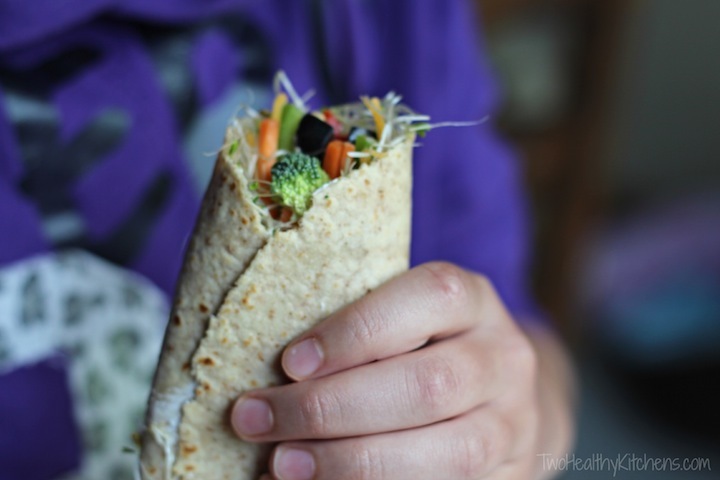 Sure, you can cut your edible art in pizza wedges, but a wrap is the ultimate grab-n-go! There are no rules here … only suggestions! 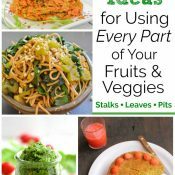 Use whatever veggies you have on hand! Two must-haves, though: alfalfa sprouts and jumbo olives. Really! Alfalfa sprouts were the surprise-hit ingredient at our Girl Scout meeting. 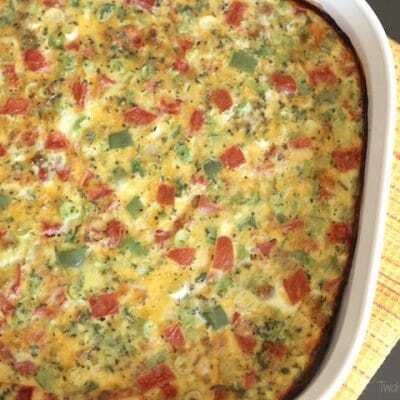 Most of the girls had never even heard of alfalfa sprouts, but they were by far the most popular of all the veggies (since they make perfect hair … for pretty red-pepper hair bows!). And huge black olives? Well, that’s obvious! You’re just never too old for olive finger puppets! So don’t be afraid to get a little messy, friends! 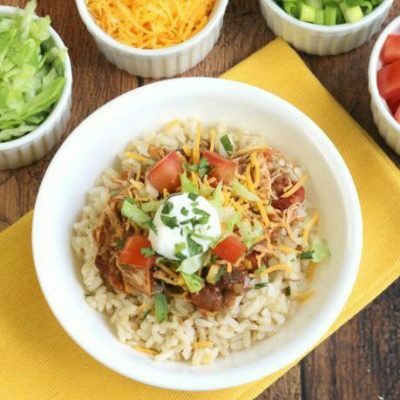 Have fun with your food, and your kiddos will, too! Add desired toppings to make a fun face. To serve, cut into wedges like a pizza, roll up like a burrito or wrap, or fold like a quesadilla. I love this post and those cute faces. This would a super party idea. Pinning! These are so fun! I love the wide variety of silly faces you have here! I love that you couldn’t find a post about it, so you made one yourself! This is one of those neat tricks that the parents who know might take for granted, but other parents would never think of it. 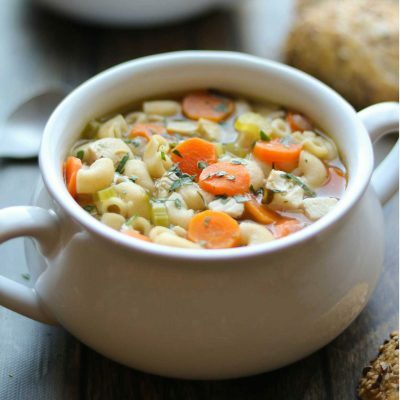 Perfect way to get some veggies into hungry little mouths. Awwhhhh this is by far the most adorable idea ever! Seriously ladies, these pizzas look utterly lovely :”) And delish too! Oh, I LOVE these! They are so cute and my kids will love them 🙂 This would be such a great idea for a birthday party. Definitely bookmarking this page and pinning! I love these – too cute! 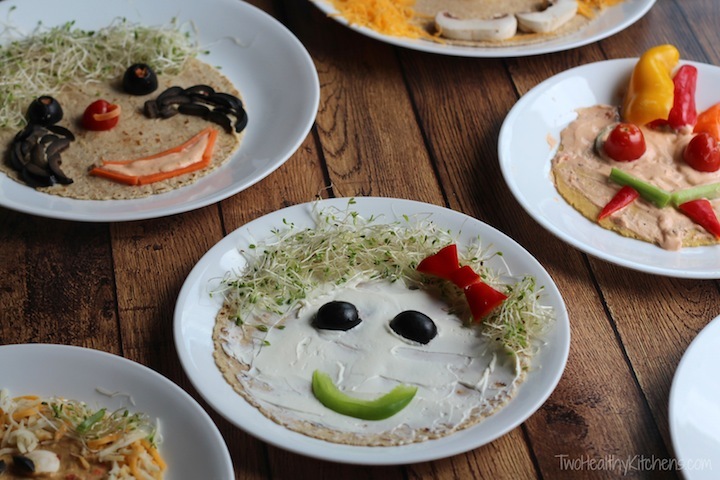 I am an adult and I even want to make these adorable no bake pizza faces – I love them! 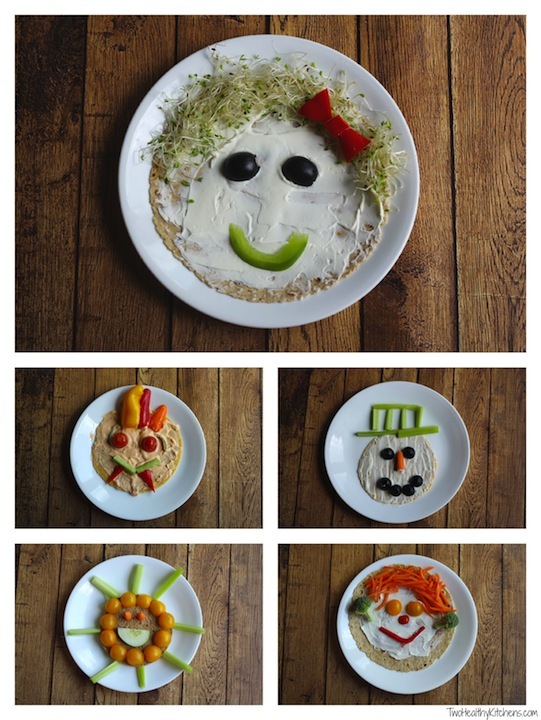 What a great idea 🙂 Nothing beats a veggie wrap and this is such a perfect way to get some extra fun veggies in 😀 I love the photos by the way – Awesome! Pinned! Cute cute! I love it. I’m pinning for when the niece is older. Her name, btw, is Kiera, so if I can just say her name in the future. 😉 I have a pin board for all kinds of things to do with her. You might like some of that stuff too. Or, you might have one of your own. Thanks again! Our Girl Scout Troop had a great time earning their snack badge. The girls enjoyed learning about healthy food, tasting and making some of your recipes. Thanks so much for a great meeting! This is so great! I’m definitely going to be using this! I have Girl Scout troups come to me, too, to get badges and I lead kids cooking classes, so this is beyond perfect! You have so many great “face” ideas, too. Thanks for sharing! Oh my gosh – how cute are these? Swoon! LOL, that was fun and creative!!! I kept smiling looking at those fancy faces 🙂 Great job in promoting healthy food! So cute and I know the kids had a great time.